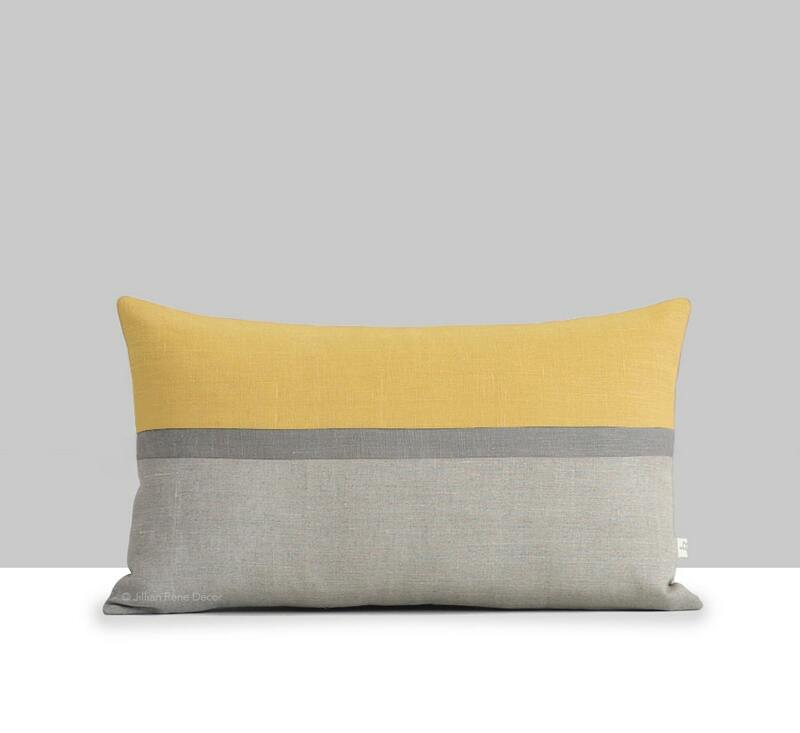 NEW :: Layers of yellow, stone grey and natural give this linen pillow cover a punch of color with a neutral edge. 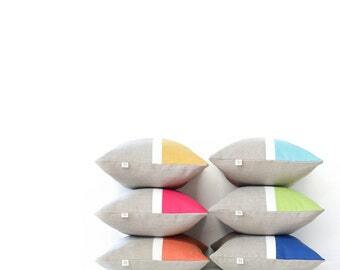 This beautiful pillow will make the perfect accent on a chair, sofa, window seat or bed. It would also make a perfect housewarming gift too! - Front: squash yellow, stone grey and natural color block stripes (horizontal). I was disappointed in this item. It was smaller than the measurements given and so my filler did not fit. It does not have a zipper so hard to fit any filler into it. I could not fine a smaller filler anywhere to fit.